I’ve had my Q’nique now for a few weeks and we are getting along just fine. 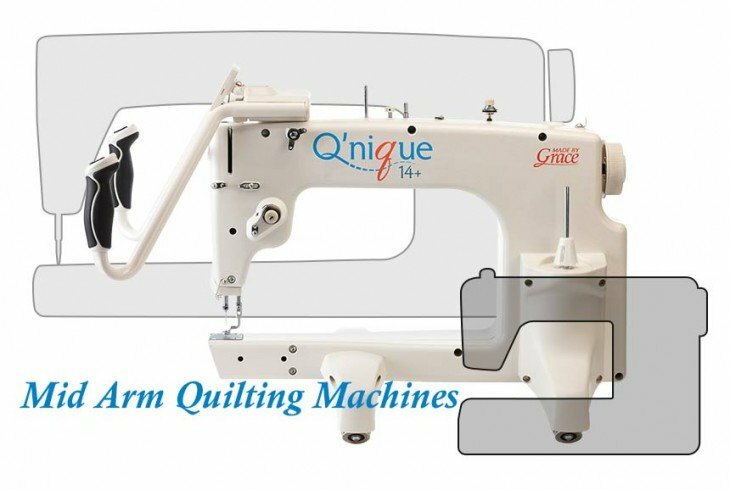 The Q’nique 14+ is a quilting machine made by the Grace Company. It has almost 15″ of quilting space hence it is called the 14+. My set up before I got this machine was a Janome 1600P on a queen Gracie frame. The Q’nique was designed to go on the Grace frame and to get the 14+ to sit on the frame, the professional carriage is required. Luckily I had this. The top section with the handles comes off and then encoders are added. My husband, who is an engineer was able to do this with ease. I would not have been able to do this myself but customer support has been fantastic. At this point I should say I live in the UK and bought my machine from The Cotton Patch who are situated in Birmingham. Geoff and the team have been great as regards to follow up calls, making sure everything is ok.
You can also chat live online with the guys from The Grace Co, which is great. Now back to the machine, I don’t really know where to start. the best thing has to be the huge arm space. After 2 years of working within a 7″ or less space, it is a massive luxury to have this extra space and is the main reason the machine was bought. I have my frame set up to work from the front as I only do freehand work, no pantos. The controls are at your finger tips in the handles which are at comfortable angle and you can see all your settings on this screen. There are 4 different sewing modes. I am using the precise regulated for designs like feathers but I also like the manual mode for doing designs like pebbling or stippling. It also has a counter for the total stitches and time worked on the machine, this cannot be reset. The bobbin winder is a separate motor and winds the big M class bobbins within 30 seconds! I love the big bobbins, they last a long time. The bobbin area itself is easily accessible for cleaning with no lids to remove. It is quick and easy. I use a soft, long handled artists brush to clean out the lint. I have had a few tension issues but have been able to resolve them myself. I’ve discovered that the machine can be a bit fussy with the threads it likes. It does not like the poly core quilting thread I was using. Too linty. Tried a 100% polyester thread and it was fine. Coming in at around £4250 in the UK, this machine is affordable. £10,000 for a long arm was NEVER going to be an option for me unless I won the lottery. I am truly happy with the Q’nique and would recommend it to anyone. Here are some samples of my quilting done with the Q’nique so far. If you are thinking of buying a Q’nique, go and try one. 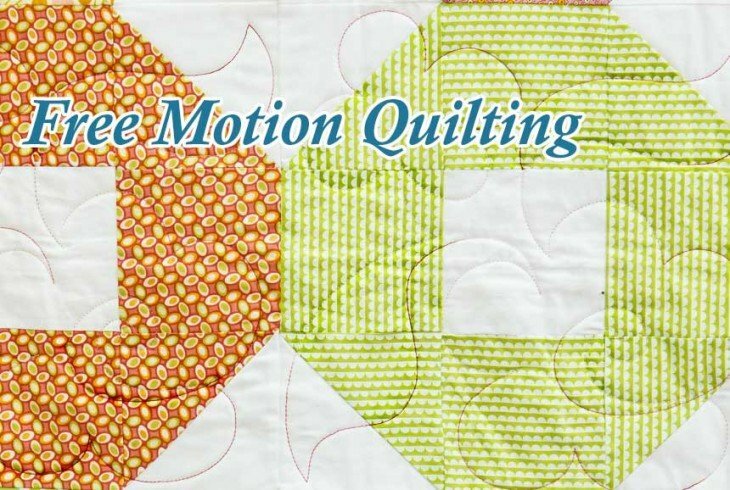 If you are a quilter like me, you will love it! !